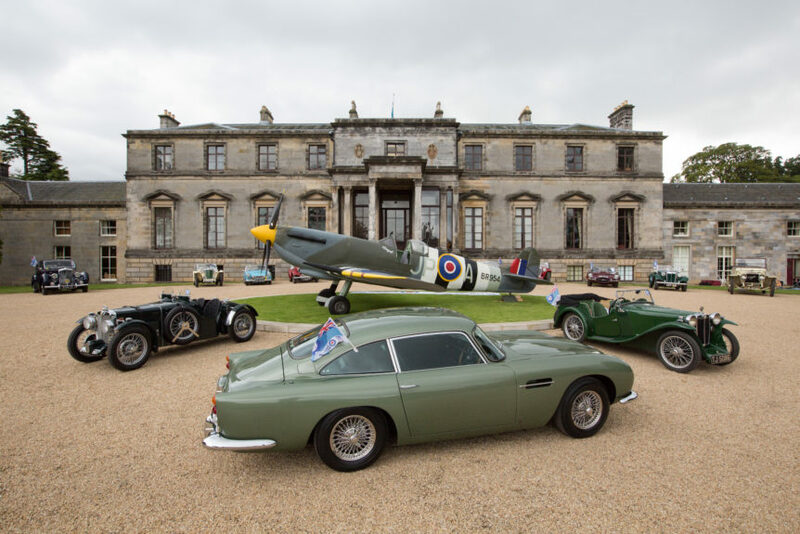 In September (2018) Broomhall House hosted an RAF Benevolent Fund charity event, organised by Mark Ryan of Driving Scotland, as nearly 100 supercars arrived at the Estate, having travelled in convoy across the Forth Road Bridge. 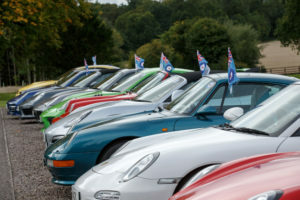 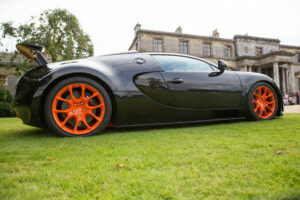 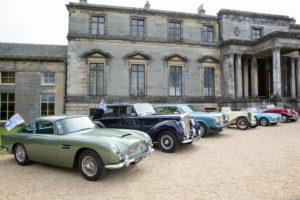 Guests were then treated to special private guided tours of the Bruce family home and its internationally important collection while enjoying the hospitality of Broomhall House and a unique chance to share their passion for motoring. 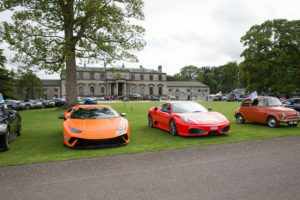 The impressive array of cars visiting included a Bugatti Veyron, a Lamborghini Countach and a McLaren 675LT. 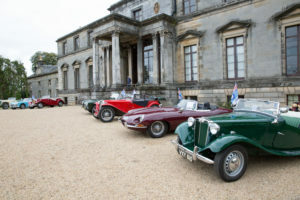 Guests were also joined by RAF veteran Arthur Reid, who flew with Bomber Command during the Second World War, treated to a Tiger Moth flypast and viewed a full-size, static, replica Spitfire. 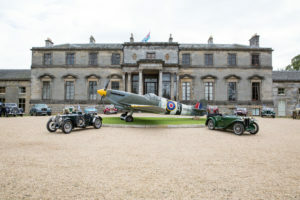 During the Second World War, Spitfires from the City of Edinburgh squadron were responsible for shooting down the first German aircraft during the conflict, when the German air force launched a bombing raid targeting British warships in the river Forth. 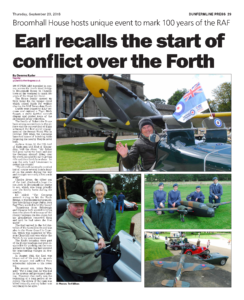 Following the event the story was shared in the Sunday Post, the Courier, the Sunday Telegraph and the Dunfermline Press which featured an interview with Andrew Bruce, the 11th Earl of Elgin and 15th Earl of Kincardine, himself a veteran of the Second World War who was seriously wounded shortly after the D-Day landings.